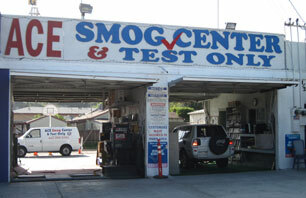 Ace Smog Center | A STAR Certified Smog Station! 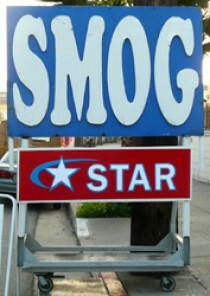 A STAR Certified Smog Station! If your DMV registration renewal states your vehicle requires a Smog Check at a STAR Certified Smog Station, bring it on over. Mention this website for $10 discount! $12 Discount on Smog Check Fee for Occidental College Students and Faculty (bring current ID or parking pass for discount). And many more services provided! If the state of California Department of Motor Vehicles has just informed you that you need a “Smog Test Only Center,” don’t worry — Varooj is ready to help. 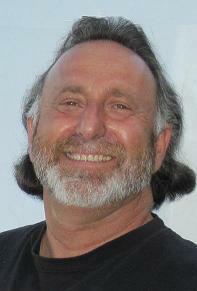 He’s tested thousands of vehicles for Eagle Rock residents since 1984. Even if your vehicle fails the first test, Varooj can simply explain how to proceed. Varooj is the owner /operator of this small neighborhood business. 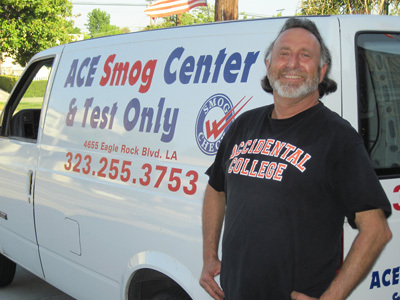 He appreciates your support and is ready to answer all your questions about smog testing.